To celebrate our last weekend of our 6 month birthday ? 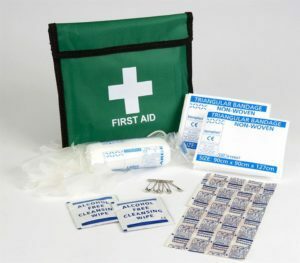 … we are holding a giveaway of a one person pouch first aid kit. Simply subscribe to our newsletters, where we offer our latest offers, events and First Aid and Heath & Safety tips. ?? Our ‘Give Away’ ends lunch time on Monday 31st August. All the best of luck to you all. Draw will be announced around teatime on Monday. ?